Treading the (un)beaten track: Ad makers, please give us a break and use some grey matter, for a change! Ad makers, please give us a break and use some grey matter, for a change! The latest advertisement for Chakra Gold tea shows a muslim couple looking for a rented apartment in Chennai. The landlady looks at the girl with suspicion, turns her face away in disgust, and thinks the girl doesn’t even have a bindi on her forehead and so they must be…her facial expressions confirm the rest—the aversion that the brahminical castes have for the marginalized. She decides to move away only to be nudged by her husband to ‘behave’ and perform her wifely duty, which is making tea for the guests! And, of course, one sip of chakra gold ‘opens’ her mind and she accepts the muslim couple as her tenants. Watch the ad here. What is the underlying message here? Has Chakra gold suddenly woken up to the marginalization that minorities face in this country? So, does sipping Chakra gold change one’s communal mindset in just a moment? 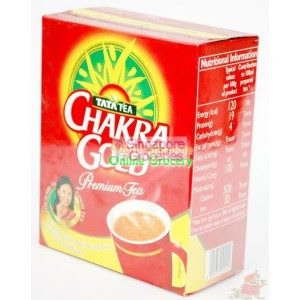 Or, what type of reaction does Chakra gold expect from the viewers other than picking up the tea? Wouldn’t the viewers feel their misguided anger and disgust for the minorities validated? So, in an ostentatious manner, is Chakra gold promoting anti-muslim feelings? I think so. The ad is most repulsive for this very reason. And, what was even more revolting was the man correcting the woman about her behavior, which is actually very far from the truth. In fact, having been a house hunter for ages, I know for a fact that it’s men who ask for your ‘affiliations’ (read caste/religion, besides of course your marital status if you appear to be a modern woman) before they would rent out the house. So, why do people make such terrible ads? Is this what happens when the corporates have a free hand in the market? Isn’t there a body that monitors this kind of blatant propagation of surreptitious communalism? I can only imagine what kind of market research would have happened behind the making of such an ad. The same type that must have happened behind the making of movies like A Wednesday and Peepli Live. Just pick up a so-called burning issue and capitalize on it in the most idiotic and silly manner. The day isn't far when there will be ads for say swords and AK 47s that will use montage from the Gujarat riots and Kashmir! Terrible ad dahling. I wonder who made it? Woof. :( When will people stop instigating such anti-democratic feelings?